Have you ever seen misspellings on signs and cringed? Have you ever laughed at social media grammar blunders? (If not, I suggest you check out this list and laugh away). Despite what state achievement tests might have us believe (grammar isn’t tested so it doesn’t need to be taught, right?) 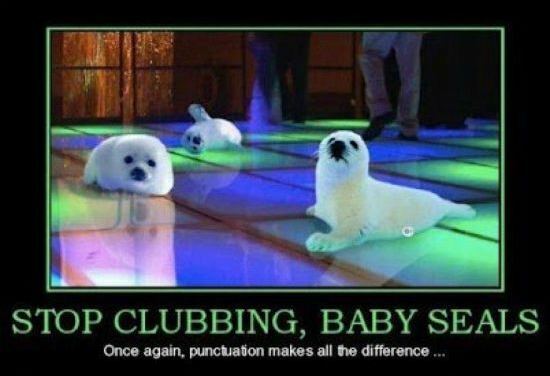 grammar IS important. Grammar is a skill that should be mastered, and like any great skill it takes practice. I wanted to create a system that allowed my students to take their grammar education into their own hands so they could spend as much time as THEY needed on each rule until they were able to master it. In short, I wanted to add grammar lessons to my curriculum without adding it to class time. Second – I divided the rules into four chunks – one chunk of rules for each quarter. I decided to focus on teaching three grammar rules a quarter, but continuously reviewing the past quarters’ rules throughout the year. Third – I found and/or created handouts clearly explaining each rule and practice exercises for the students to practice with. This part took time. I knew that I wasn’t going to be giving direct instruction, so I wanted to make sure that the handouts were explicit. Even if I found a good handout online, I often edited it by added my own side notes and formatting it to make it easier to follow. Fourth – I created four quizzes, one for each quarter. Each quiz became a tiny bit longer as it included the past rules, therefore the students had to keep reviewing the rules. First – I pass out a handout explaining WHAT the process will be and WHY I feel it is beneficial. This handout also includes a chart of all of the rules and quiz due dates so that students can see the entire year laid out in front of them. I make sure to review this process with the students in detail and review it with them a little bit every day for the first week or so of school. Second – I post all of the handouts online. I used to print out copies and keep them in folders for the students to grab at their own time, but too many students were taking (and losing) multiple copies of the same rule. I got tired of making copies, so I came up with the idea of making them digital. Students can print them whenever is best for them. The student reads the rule, does the practice, turns it in early, gets 100% and I sign off that they mastered the rule. Fourth – I try to give a week in between the due date of the handouts and the quiz so that students can ask last minute questions of rules they still don’t get. Then, I give the quiz. I combine the points for the quiz and handouts to one Quarterly Grammar Grade and then we restart the process the next quarter. Interested in purchasing this grammar system? My 8th Grade unit is ready to buy from my TpT store. Check it out and save yourself some time! What other ways have you incorporated grammar into your classes?